So today I wore....Oh wait, this isn't Amy speaking (for once) but is her boyfriend, Jimbo. I'm here because Amy asked me to do a guest post on a bit of baking (becuase what do I know about makeup/clothes?) and to finally say hello to you guys. Hello! 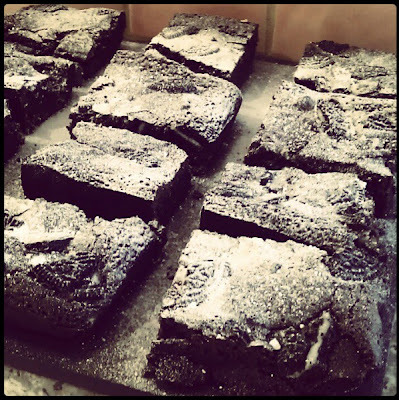 Recently I've been baking quite a few brownies for various events and people seem to like them, can't think why, but I'm going to post the recipe for you. This recipe isn't mine, can I just add, I found it in the May 2012 edition of the Sainsbury's magazine and all credit goes to Lorraine Pascale, I'm just a messenger. Total Time: Around 45 minutes. Line a baking tin with nonstick baking paper (you can grease the tin, but I don't see the need) so the paper slightly overlaps the sides of the tin. 2) Melt the butter in a pan, remove from heat and add the chocolate. Leave for a few minutes until the chocolate softens, stir together. 3) Whish the eggs, egg yolks and vanilla in a bowl till light and fluffy. Add the sugar in two lots, pouring down the side as to not knock out the air, whisk until the mixture becomes stiffer. Pour in chocolate mixture around the edge and mix gently. 4) Add the flour, cocoa powder, a pinch of salt and about a third of the Oreo's (depending on how many you feel). Stir, pour into the tin. Press the remaining Oreo's on to the mixture (again depending on how many you want). Bake on the middle shelf for 25-30 minutes - it should be slightly gooey in the middle. 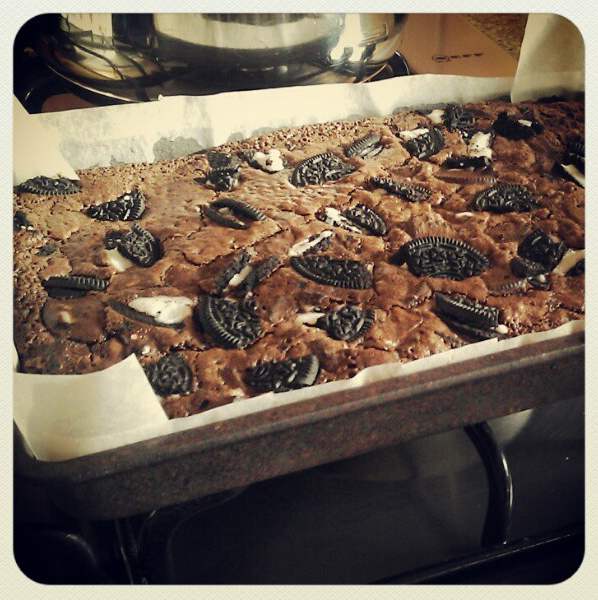 5) Leave to cool in the tin, then lift out using the baking paper and cut into squares. 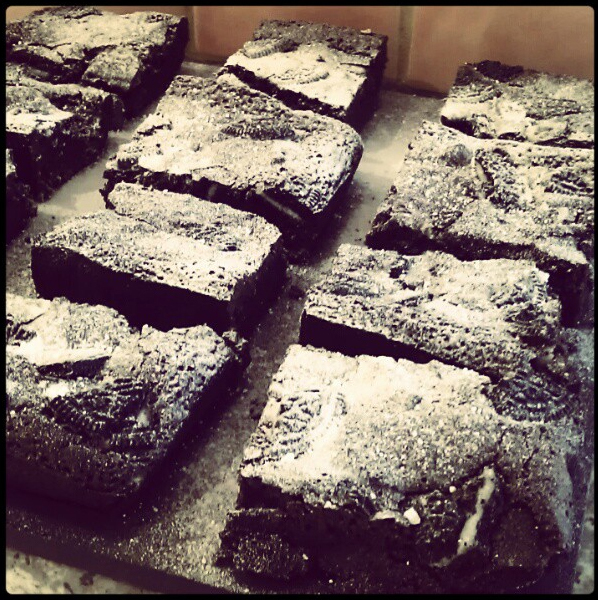 Dust with icing sugar. - I advise cutting another bit of baking paper an resting on top of the final mixture before cooking, saves burning the top and the edges which are quite prone to over cooking. Thank you for reading my first post on The Camera's Lying, hope you don't mind me butting in. Oh and "Jimbo's Opinion" is still happening, soon. So look forward to it.